4 Bedrooms, 2 Bathrooms with stunning views of Beach and Islands. 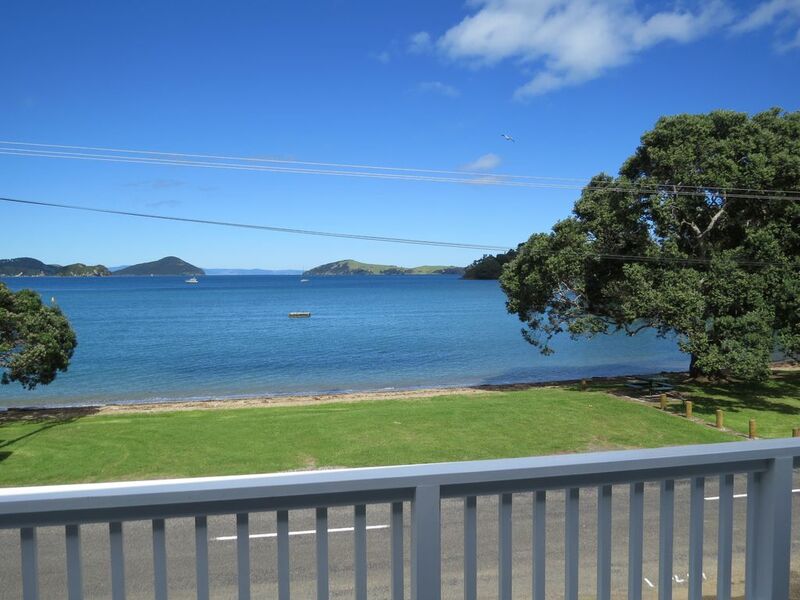 Sit back, relax and soak up the sun at this perfect holiday home right on the beach at Oamaru Bay. Situated less than 10 minutes drive from the heart of Coromandel, this fresh, clean property is ideal for that family getaway or simply time away with friends. Less than 50 meters from your door is a safe swimming sandy beach where you can watch the kids from the picnic tables under the trees or better still from the comfort of your own balcony. For the keen fisherman, your boat ramp is right there in the centre of the Bay! For added privacy and space amongst guests, there are 2 bedrooms both upstairs and down, each floor with their own bathroom. Please note that the bedrooms downstairs are only accessible from the front exterior door. They cannot be entered internally from upstairs so please take this into consideration if you are travelling with multiple young children. A ranch slider from the lounge leads to a large deck facing out to amazing panoramic views of the Bay and Islands, not to mention those incredible sunsets. This area also has a wind out awning for shade if preferred. Amidst the open plan layout upstairs is a spacious, fully equipped kitchen complete with dishwasher and large fridge. There is also an extra fridge nearby and a bait/fish freezer downstairs for your convenience. Flat screen TV, stereo system, DVD player with large movie library, 3 boogey boards, 2 snorkel sets, cricket set, badminton set, dart board and loads of board games has your in-house entertainment covered. The sheltered back patio area has a 6 burner BBQ, table and chairs. So whether you are fishing, swimming, sunbathing, swaying from the swings, (usually in the trees out front), or simply relaxing on the deck, this magical spot is the place for you. Room for 1 car and 1 boat on front lawn. Other parking available across the road on beach front grass area. Table and chairs also on deck area. Cricket set, 3 Boogey Boards, Dart Board, Badminton Set - Monopoly & Monopoly Junior. Twister, Connect Four, Sea Battle, Bingo Lotto, Amazing Moa Hunt, Agitation, Who Am I? Lightening Reaction, cards. Clean comfortable and spacious house with a deck with great views on the ocean. Meters from the beach. Nice house with waterfront views.